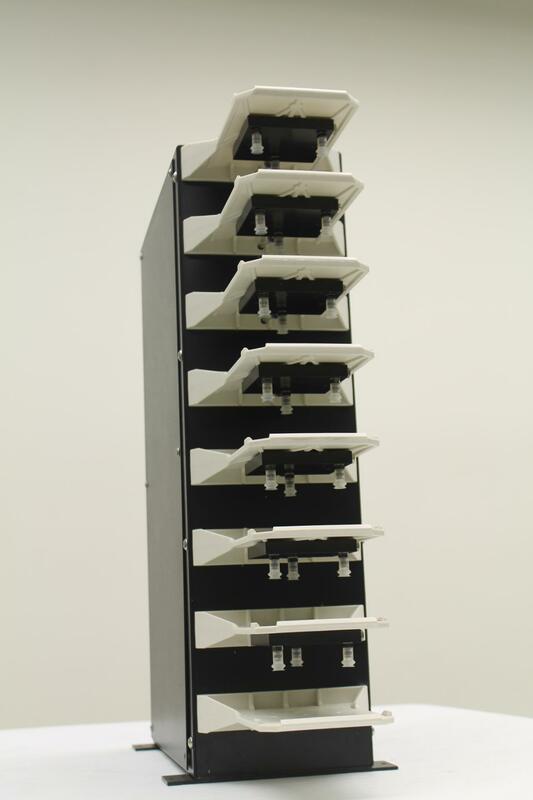 Thermo Scientific Lid Park Station 7 Lid Capacity Microplate Delidder . New Life Scientific, Inc. This lid park station is in great cosmetic condition. We have not been able to test further past power on because we do not have the proper software to correctly run the instrument. However, it does successfully power up. This instrument came from a high end pharmaceutical company. Automate the removal, storage, and replacement of lids on microplates using Thermo Scientific Microplate Delidder. Using a delidder instead of a robot's microplate fingers to remove a replace a lid provides more reliable lid placement and frees the robot to perform other operation.